Born Free is a lucky Bermuda 40. She has an owner that saw beauty and comfort in her lines and had the desire and skill set to make her better. Over the time he has owned this yacht he has replaced 80% of the exterior teak, stripped and re-coated the bottom and Awlgripped the topsides just to list some highlights. She is easily the finest B-40 I have ever been on. Born Free's pedigree and unique condition put her at the top of this amazing fleet. She is currently stored in her custom heated barn in NH awaiting her next steward. Please call for any specific questions. Please contact me for further information or to schedule a showing. Крейсерская скорость: 6 узлы @ 2000 об./сек. Born Free, like her sister-ships, has a very classic deck layout and finish. Deck is two tone with Oyster white and light gray non-skid highlighted by beautifully varnished teak. What separates Born Free is her condition and how much on deck is new under this owner and completely redone. 80% of the teak on deck has been replaced and meticulously rebuilt and finished. The addition of her custom butterfly hatch immediately catches your eye. Another very unique attribute to Born Free are her davits. They are custom varnished teak with stainless steel fittings. They eloquently sweep aft carrying beautiful lines and effectively holding off her lightweight tender. They are easily removable and have their own custom matching gray Sunbrella covers. The cockpit has two large compartments, port and starboard, under the settees. The boat is equipped with an Edson pedestal and 28" painted elk hide covered wheel. The auto-pilot and chain counter are mount to port and starboard respectively with the throttle controls on starboard as well. Classically, the Constellation compass is center mounted. Forward on the pedestal are custom varnished teak cup holders and fold out cockpit table. There are white vinyl cockpit cushions with gray piping and a gray Sunbrella cockpit cover made in 2009 The custom dodger was built in 2002 with the same gray Sunbrella as was the cover for the butterfly hatch and lazarette hatches. Aft of the cockpit is the propane locker to starboard, holding two 10 lb. aluminum tanks, and storage to port. Behind that is a large lazarette holding sails, the grill, the emergency tiller along with various other items. Joining the butterfly hatch center piece on the cabin house is a large hatch over the master cabin with a white translucent Lexan lens, two large chrome cowels on painted dorade boxes and two pairs of varnished teak hand rails. Half round varnished eyebrows run the length of the cabin. The cabin has five windows per side all fixed except the head and one on the front fo the cabin centered. Born Free has a pretty classic Bermuda 40 interior. The galley is both sides aft. The refrigeration is on starboard with the dishes. The deep stainless steel sink and Force 10 propane stove is on port. Both port and starboard sides of the main salon have an upper and lower births. The lowers which mostly act as the settees pull out to make a more comfortable sleeping bunk. Storage is abundant above and below the settee. The table's two leafs and extensions creates a huge dining surface. Continuing forward the head is to port. The head was completely overhauled in 2015 with a new head, new trim, new tiles and new paint. There is actually more space in there now since they removed the large cabinet, but don't worry there is still more than enough storage. Just outside the head to starboard there is a locker with a column of drawers. Locking through those draws you can tell this boat is well stocked and well prepared to cruise with now need to head back into town. The V-berth is bright with the large hatch over head. Like the rest of the boat, all the bright work is in excellent condition and more than enough storage. All the sails have been professionally maintained and are in great shape. The spinnaker and solent have very low use. 2010 New Sail covers made of gray Sunbrella. All the electronics are in good working order. They have all been strategically placed to allow ease of use and movement around the cockpit. The auto-pilot is right at the wheel and the chartplotter is swings out from the companionway in a custom varnish teak case. The Tac Tics are mounted on the cabin bulkhead on a varnished teak plaque. Born Free has a custom pair of high gloss varnished teak clad dinghy davits with stainless steel hardware. These are unique to this Bermuda 40 and blend eloquently into her lines. Mercury 4-stroke 6HP(approxiamtely 10 years old) with less than 40 hours use. Disclaimer: All speeds, measurements, capacities, consumptions, etc. may be approximate or estimated. Specifications provided for information only. Data was obtained from sources believed to be reliable and is not guaranteed by owner or brokers. Buyer assumes the responsibility to ascertain the correctness of all data contained herein and otherwise provided and must instruct his agent and surveyors to confirm all details for accuracy prior to purchase. Subject to prior sale, price and inventory change, or withdrawal from market without notice. 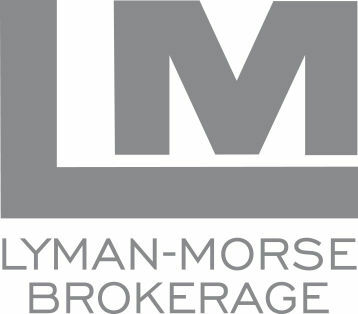 Другие яхты Lyman-Morse Boatbuilding Co.
Посмотреть все яхты Lyman-Morse Boatbuilding Co.